Since the last time I posted, I have finished 1 pair of socks, cast on 1 pair of socks. Cast on zero shawls, finished 1 shawl and is currently binding off another shawl. My knitting and blogging time has been taken over by making cards and a puppy. I won't post too many photos as I'm blogging from my phone now. 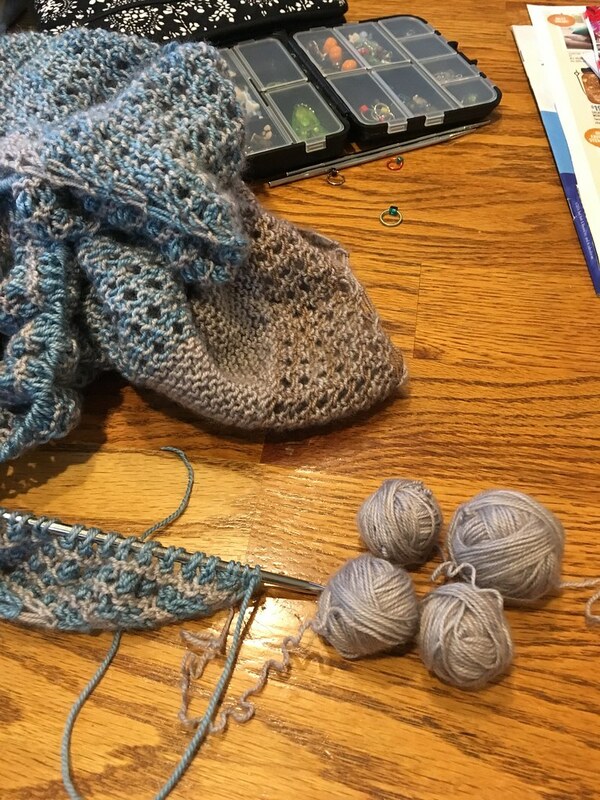 I am attending Vogue Knitting Live next weekend and should have lots to talk about. I'll show you my puppy, who is now a little over 4 months. 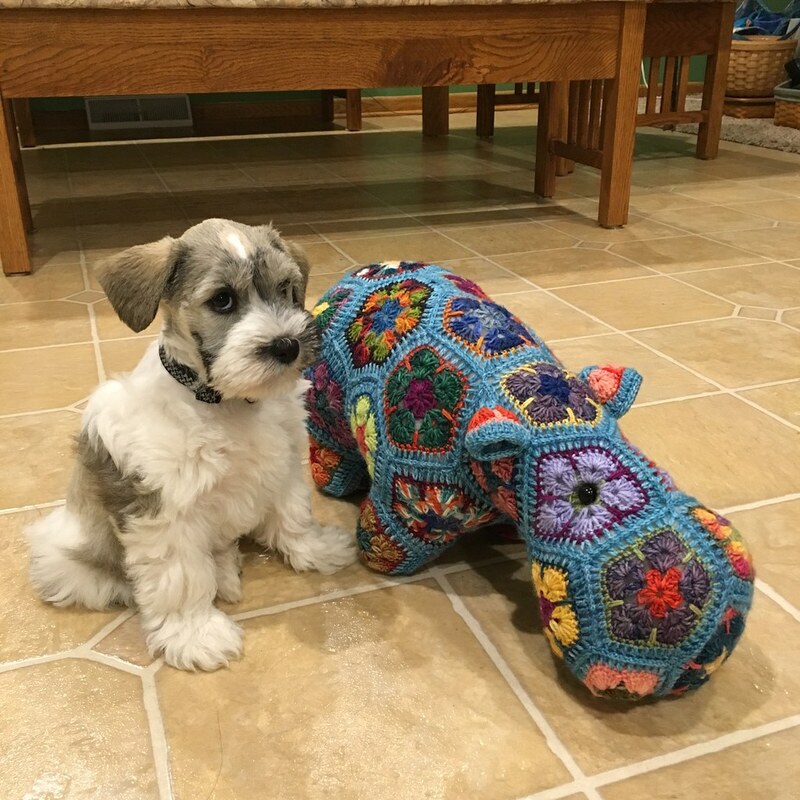 He has not learned to love yarn yet! 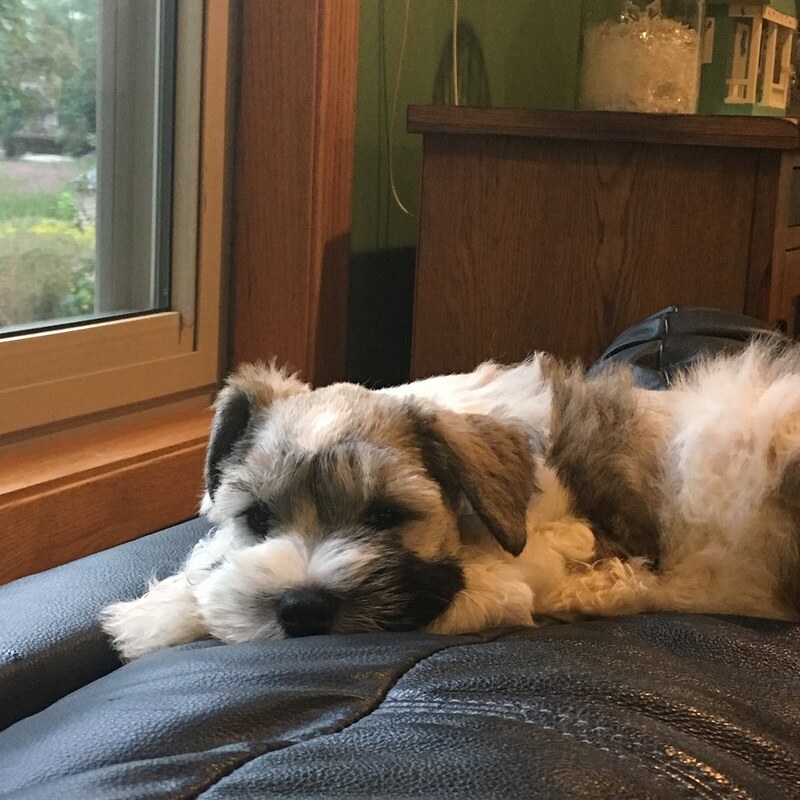 Here is Kevin, at 8 weeks. 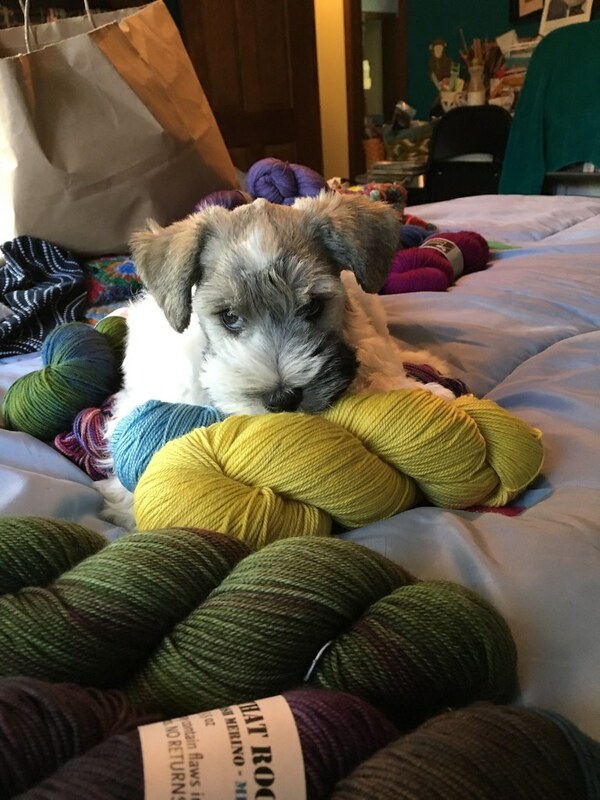 Then, he got into my knitting. This is my Skipping Dots Shawl. He bit into the edge of my shawl. I can see teeth marks on the needles. I ripped back 10 rows. Thank goodness it was just garter stitches. 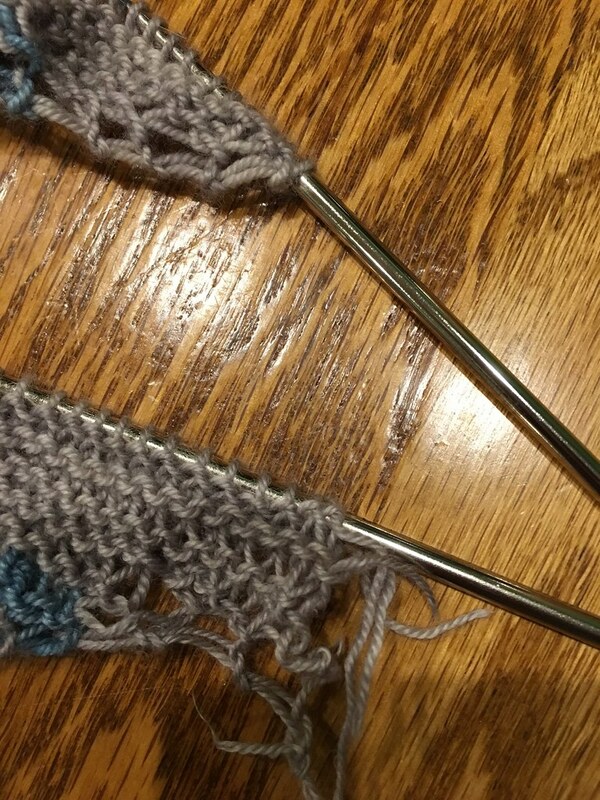 I picked up the ridges using another needle and then, just pulled out the original needle and started frogging. Unfortunately, I picked the stitches on the wrong side so the stitches were backwards. 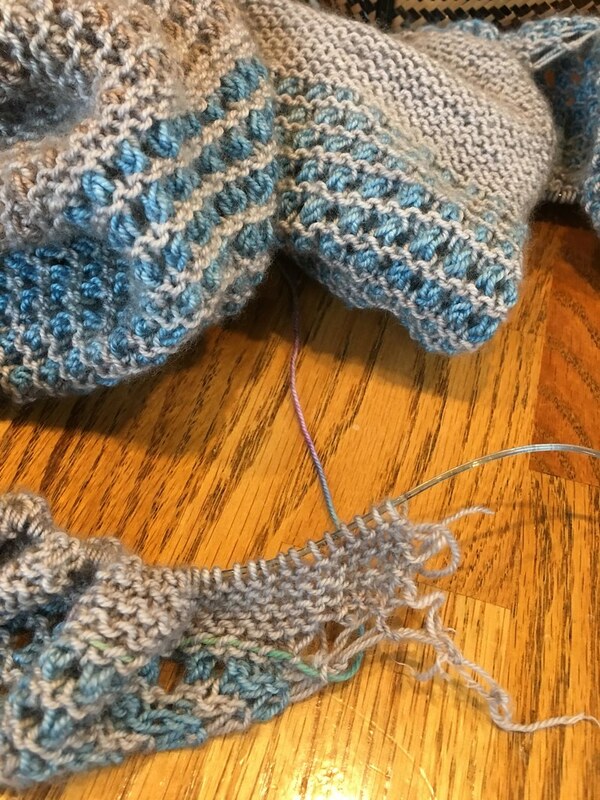 I had to flip it forward before knitting. 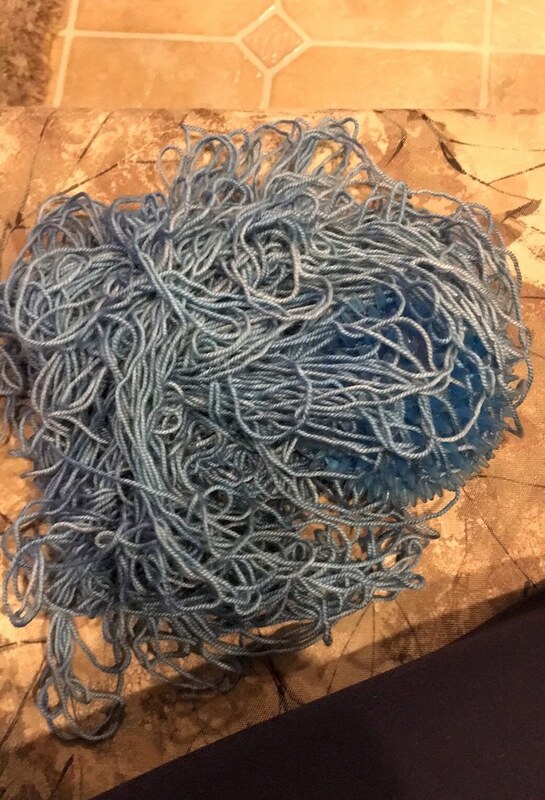 The gray yarn was broken into 4 balls. 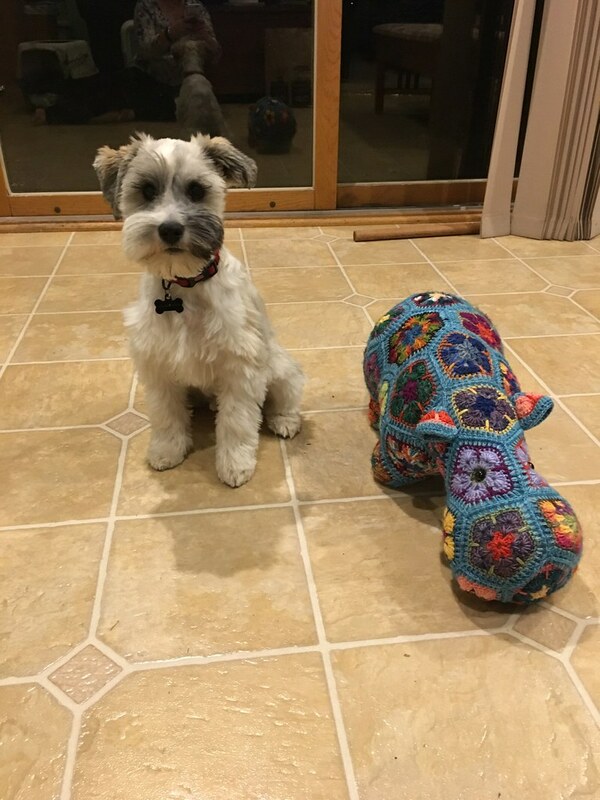 I knitted using what was left in a bigger ball and used up 2 of the small balls. This was a loose cake as I was knitting from the middle of the cake. Somehow, he had a ball in it. 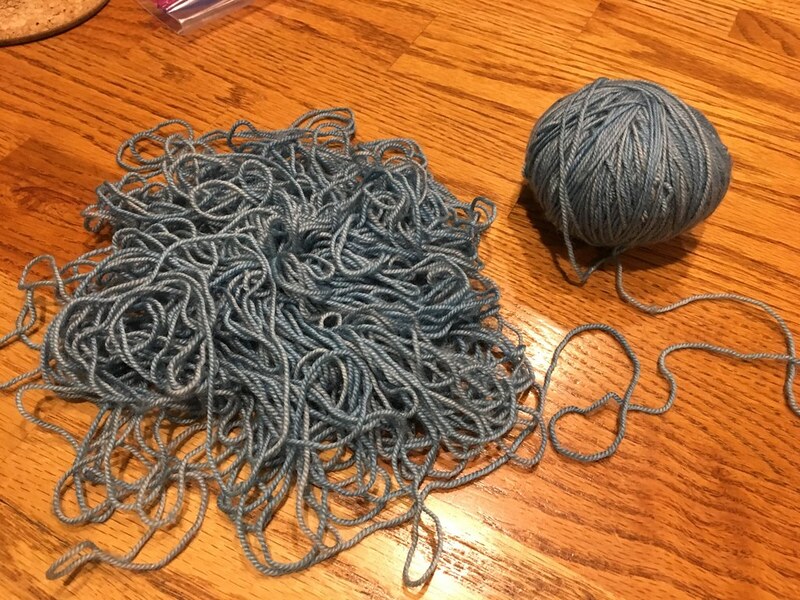 With the encouragement of my knitting group, I detangled the mess. I got it all in one ball with no broken pieces! So with all the work in detangling, I had to use this. I knit the edge with a little of the blue. May I add that I was just an inch from finishing when this happened! I'm binding off now and have not taken a photo. I can't wait to wear it but not looking forward in weaving in all the ends. And I have to add that this is all my fault. I left my project bag (no top - like a basket) on the floor! It will remind me of Kevin when I wear it.